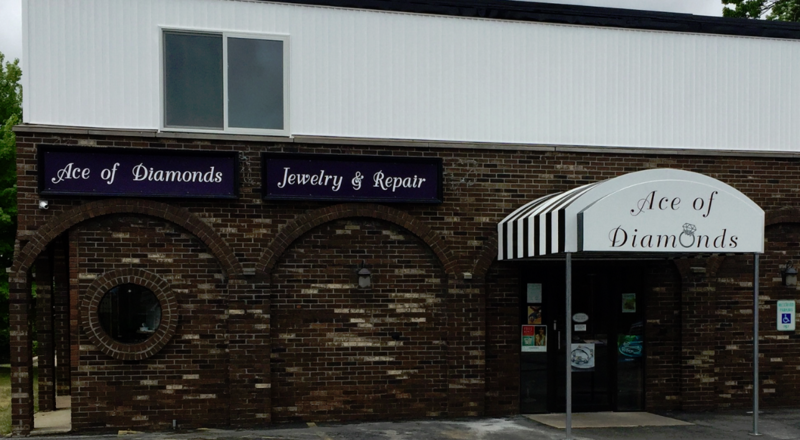 Ace Of Diamonds proudly serves the Mount Pleasant area with beautiful jewelry at affordable prices. Kriss Roethlisberger, along with her husband Mike, created Ace of Diamonds in 2001. Kriss has been in the jewelry business for over 30 years. 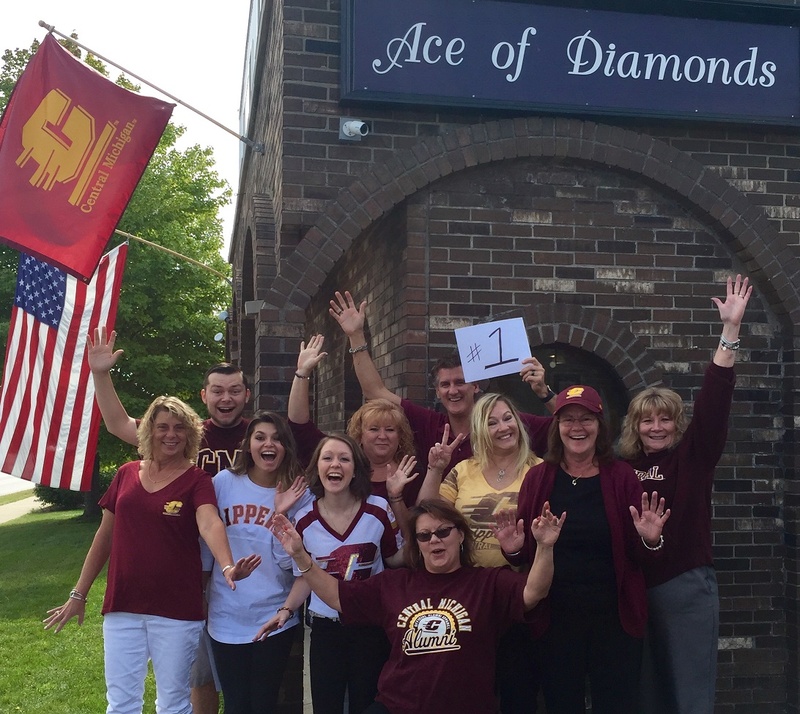 Ace of Diamonds started in Downtown Mt. Pleasant and was in that location for 15 years before moving to their current location at 406 S. Mission St. in Mt. Pleasant in early June 2016. This is the SAME location Kriss' dad, Dale Jarrett, owned and operated his store, Jarrett the Jeweler. We are a full-service jewelry store and specialize in diamonds and engagement rings. We have a semi-private diamond ring room, so you can announce your engagement when you want to, not when your friends see you as they walk by. We offer great jewelry repair and we have an awesome bench jeweler: Becky Brookens! In June 2017, we purchased an engraver, so we now offer engraving services. Our motto: Jewelry Buying Should Be Fun - so we do whatever it takes to make your shopping experience enjoyable. We love our customers and we love our jewelry! We believe in laughter, friends, building relationships and supporting our community. We look forward to doing business with you.